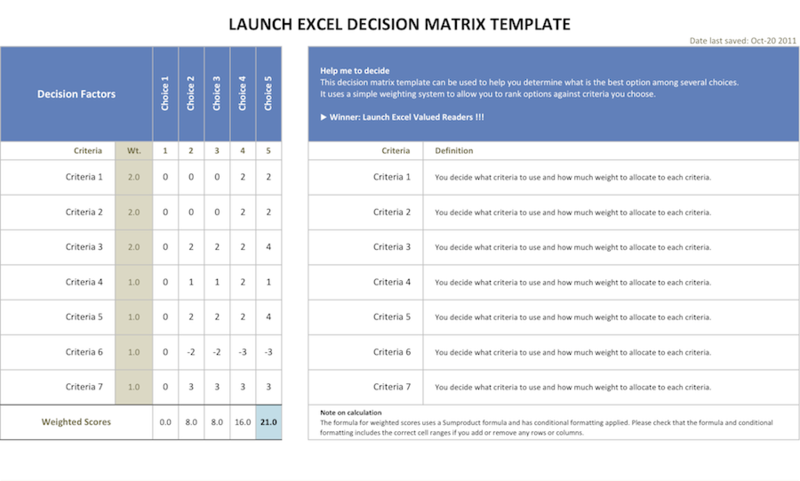 To download your free Decision Matrix Template, just click this link and save the file. When you click the link you will get a .ZIP file. The spreadsheets are ready to use. Just format them to a color scheme of your own choice. Can I use this spreadsheet personally and at work? By doing this you are helping me to share this page and the Decision Matrix template with more people. Excel Keyboards Shortcut PDF page to subscribe to our email newsletter.